Vaccination Information - Dr. Patricia Roy, D.O. Two doses of HepA vaccine are needed for lasting protection. 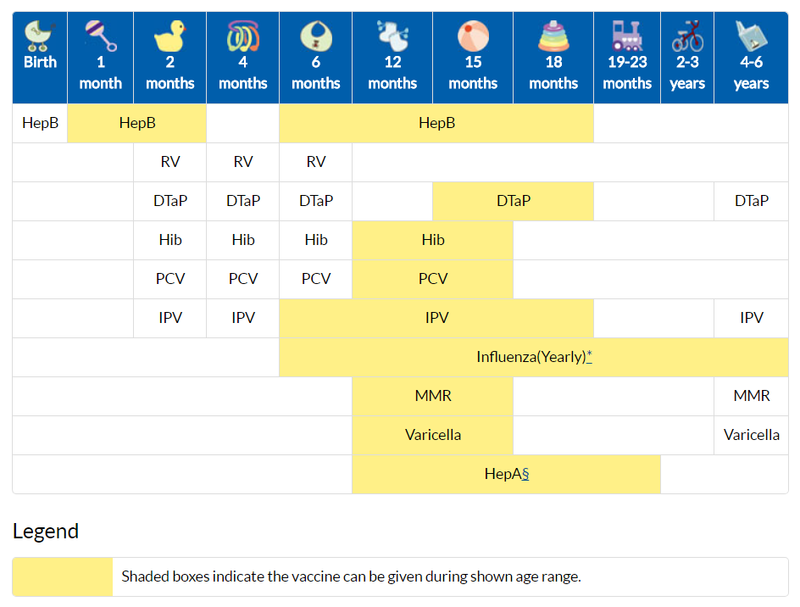 The first dose of HepA vaccine should be given between 12 months and 23 months of age. The second dose should be given 6 to 18 months later. HepA vaccination may be given to any child 12 months and older to protect against HepA. Children and adolescents who did not receive the HepA vaccine and are at high-risk, should be vaccinated against HepA. Many parents have questions about their children’s vaccines, and answering their questions can help parents feel confident in choosing to immunize their child according to the CDC’s recommended immunization schedule. The materials listed are intended to help health care professionals start or continue conversations with parents. The materials include proven communication strategies and tips for effectively addressing questions you may hear from parents, as well as information for parents who choose not to vaccinate.